Awarded Certificate for “Introspection, Motivation, Commitment and Team Building” by HRD Madras. From 17/01/96 to 23/01/96. Successfully completed Seven day Fisheries Training Programmed and certificate awarded by Fish Farmer Development Agency, Govt. Fisheries Department, Chhatarpur at Andhra Pradesh. From 18/03/99 to 27/03/99. Four Days Winter School and the Concluding Function of the vacation Training programme National Academy of Sciences India. Allahabad. U.P. From 16-19 February, 2010. One Week Interdisciplinary National Workshop on “Computer skill development and training programme” Sponsored by MP Council of Science & Technology Bhopal. Organized by Govt. 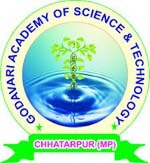 Maharaja College Chhatarpur. From March 06 to 10, 2014. Five Days “VANI Training programme”, organized by Prasar Bharati, Broadcasting Corporation of India, All India Radio, Chhatarpur MP. From 29 June to 03 July 2015. Five Days Mentor (Trustworthy Advisor) training organized by MP Jan Abhiyan Parishad, Chhatarpur. Govt. of Madhya Pradesh. Certificate/Diploma and Graduation course of Social Work course, Chitrakoot Gramoudai University, Chitrakoot, MP. From 18 September 2015 to 22 September 2015. Five Days Mentor (Trustworthy Advisor) training organized by MP Jan Abhiyan Parishad, Chhatarpur. Govt. of Madhya Pradesh. Certificate/Diploma and Graduation course of Social Work course, Chitrakoot Gramoudai University, Chitrakoot, MP. From 08 August 2016 to 12 August 2016. Three Days Mentor (Trustworthy Advisor) training organized by MP Jan Abhiyan Parishad, Chhatarpur. Govt. of Madhya Pradesh. Certificate/Diploma and Graduation course of Social Work course, Chitrakoot Gramoudai University, Chitrakoot, MP. From 23 to 25 March, 2017.